Be sure to read all the instructions thoroughly. There’s further instructions HERE, and a video HERE. If you’re having a problem beyond the help of that – sorry I don’t know what it could be. That is the extent of my limited knowledge. Hopefully, you’ll have no problems. I don’t have a complete quest for this one either. Honestly, does it even really matter? You know it’s just going to be “cook this random thing”, “spice this”, “visit that”. Nothing that I can really tell you about to make things easier for you. So instead, here’s the list of items that will probably be used in this set. Each page has 14 links on it, but you will probably not need that many. And if you need more than that, then just refresh the individual page and the timestamps will refresh. Cake Toppers – Do not use for Wedding Cake – use the Wedding Cake Parts Gifter instead. Eggs – Do not use for Wedding Cake – use the Wedding Cake Parts Gifter instead. Espresso Beans – Do not use for Wedding Cake – use the Wedding Cake Parts Gifter instead. Frosting – Do not use for Wedding Cake – use the Wedding Cake Parts Gifter instead. IMPORTANT NOTE – These don’t work for everyone. But they work for most people. I make no guarantees, however. There are so many factors involved that I can’t possibly troubleshoot every single person’s problem. 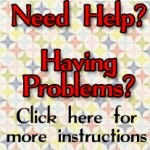 I have made available resources to help you figure out what your problem is, if it’s solvable. There’s instructions on every page. There’s a GUIDE, and there’s a VIDEO. Beyond that, I have no other information. If you’ve read the guide and watched the video, and are STILL having problems, I’m sorry but these are just not for you. Sorry to have wasted your time. Asking me to help you personally WILL NOT do anything because I’ll just direct you back to the GUIDE and the VIDEO, because they’re the sum of my limited knowledge. Whining in the comments doesn’t help anyone, so don’t bother. I’m sorry for the curtness of the previous paragraph, but I am SO TIRED of dealing with mean and angry people that demand their free stuff now-now-now or else. To the polite people, I appreciate you. Do you offer parts for catering orders? And it seems the parts for the cake are not working. Is anyone else having trouble getting the tuxedos to work??? Cindy, I do sometimes have that problem; I’ve missed out on more than one reward for that very reason. GRRR! Anyway, try posting the gifting links from this site on your wall, and tell your friends how many of each part you need. It depends on your friends clicking on stuff on your wall, but it seems to be the best alternative to zynga’s requests. If you want, feel free to add me as a neighbor. I play daily (I’m such a masochist!) and respond to all requests received. Christina Chambers, FBID 100000489409576.
gid for Wedding favors is 5540. Open a window for any of the other items – put in the user ID, as always, and then replace whatever follows gid = with 5540. Thank you so much! I’m in here all the time but I never actually say thank you for the great job you do on eatch new mission zynga throws at us! Thank you so much! what’s in store for me on quests 9 and 10? i hope i can make it! tia and best of luck to all! quest 9 is 45 expresso wedding cakes which take 1 day. i hope quest 10 is easier. i’ll only have a little over a day to complete it. anyone know what it involves? does anyone know the gid for the new goal started yesterday” eat feeds” there are total 8 goals in it..
Quest 10 for me is 80 Grand Tandoori Chicken – Sadly, it’s a one day dish and you can’t ask for servings – making good use of all of my 50% stoves. If you completed the Guest Book, the tandoori cooks in about 19 hours – a little better but still almost a one day dish. I’d bet this last dish is random. Thank-you very much for all your hard work and help, in allowing us to finish all of our goals. If not for Facegamer, I would still be on goals from the first year. You guys have been amazing. I would never have completed as much as I have with out you. Unfortunately, I am only on Joe’s 6th goal with 16 hrs to spare. So it doesn’t look like I will make it unless they extend it. I thank you for the time and effort you put into this! I was able to get some things I needed but thanks to the forever dishes I wont complete the wedding but I have this page now for other goals. Thanks again! !